War is inevitable for the people of Harrison. Ginger must stay safe. Can Ginger follow orders? Or will her instinct to protect create more chaos? Liz Iavorschi-Braun has definitely pulled out all the stops with Undeniable, this story is full of action, suspense and so many surprises. I found myself captivated from the start, and feeling like I hadn’t ever had a break from Ginger’s story, I was able to go straight back into her world and live each, and every, moment, right along with her and Rane. This story truly took my breath away at times, the love, passion, strength, and terror, the characters and the people of Harrison felt was intense. Liz truly brought their emotions to life and I was feeling those emotions right along with them. Characters I had previously been unsure about, sneaked their way into my heart in this book. I found myself living their pain and routing for them to be successful in their mission. I had grown so attached, that at one point, my heart simply broke for them. The Seven Years Gone series is shaping up to be, one of my all-time favourite book series. I’m really looking forward to the next books in the series, I know there is still so much more to be told. I have found myself completely invested in this series, and I want to see where their story will take them next and how their story will end. I haven’t read many Dystopian books; however, I am so thankful I took a chance on this one, it has not disappointed me. 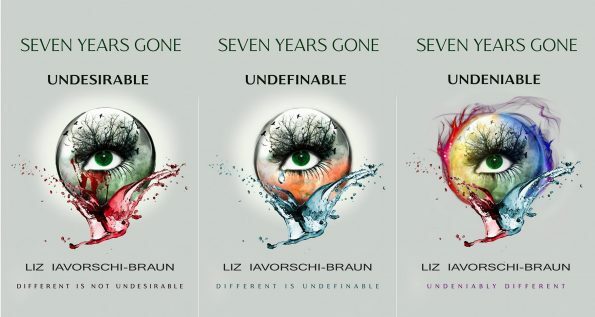 If you read young adult or dystopian books, you should unquestionably check out the Seven Years Gone Series by Liz Iavorschi-Braun.